Galway City Harriers U18 girls' team provided the highlight of the day for the county at the final day of the National Juvenile Indoor Championships in the Athlone IT Arena. 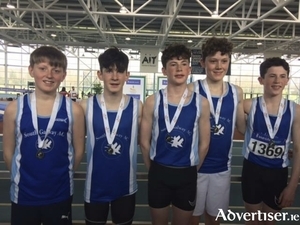 Galway youngsters enjoyed another medal haul on the first weekend of the National Juvenile Indoor Championships in the Athlone IT Arena. Sean Cotter of Calasanctius College in Oranmore competed on the Irish Schools Cross Country team at Saturday’s SIAB Schools international in Santry, Dublin. Sean Cotter of Calasanctius College in Oranmore competes on the Irish Schools Cross Country team at next Saturday’s SIAB Schools international in Santry, Dublin. 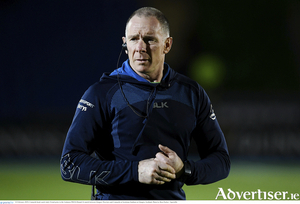 Connacht Rugby's development under coach Andy Friend will be tested on Saturday (2.45pm) in a must-win PRO14 fixture to keep their seasonal ambitions alive. 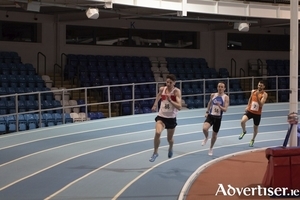 NUIG Athletics Club enjoyed a successful Irish University Indoor Championships with a substantial medal haul, including three golds, two silvers and two bronze medals. Gold came via the talented NUIG women's relay team in Athlone IT Arena on Friday when they raced home in the 4x200m event in a time of 101.69 seconds, an NUIG Record. 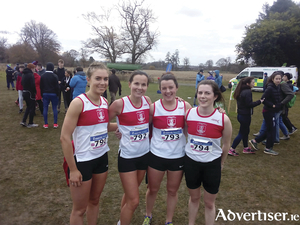 The squad comprised Sarah Quinn, Ciara Barry, Ellie O'Toole and Nicole Walsh. 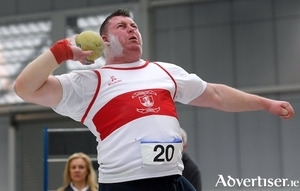 International athlete Damien Landers won the 3000m with a great final lap, and Eoghan Rodgers secured victory in the weight for distance throw to claim the third gold of the day for NUIG. 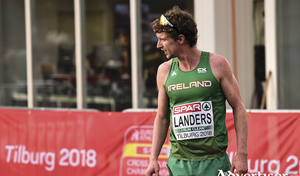 GCH and Athletics Ireland coach Matt Lockett led the Irish Junior and U23 men's teams and the junior women’s squad at the European Cross Country Championships in Tilburg, Netherlands, at the weekend. The blue riband event of the national cross country season takes place next Sunday, in the National Sports Campus in Abbotstown in Dublin, when the national senior, junior, and even age juvenile races from U12 to U18 will be down for decision. 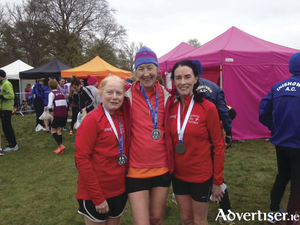 Galway City Harriers’ talented women's squad put in another superb performance to take a national team silver medal at the National Marathon championships held in conjunction with the 39th running of the Dublin Marathon at the weekend. 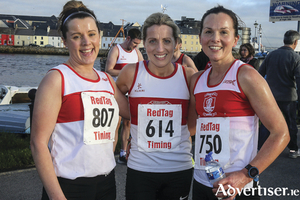 Galway City Harriers’ women's squad will look to make it three team titles in a row in what would be a remarkable achievement, having won team gold in 2016 and 2017. The Connacht Primary Schools Cross Country Finals were held on Saturday in Bushfield grounds, Bullaun, Loughrea. Nearly 500 students took part in what were torrential downpours and testing underfoot conditions. 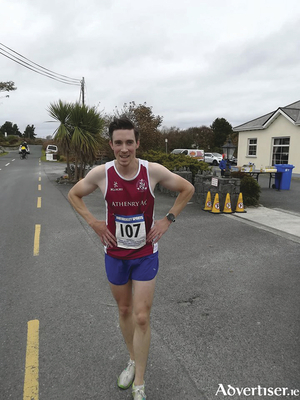 Race winners were Keevagh Barry of Ballymana NS in Galway in the Junior Girls race, Matthew Casey of Ballyvary, Mayo in the Junior Boys event, Sarah Carney of Bohola in Mayo in the Senior Girls race and Declan Kennedy of Croghan, Roscommon in the Senior Boys race. The first day of the Galway County Cross Country Championships will take place at the Palace Grounds in Tuam on Sunday (October 7), with a start time of 1pm. 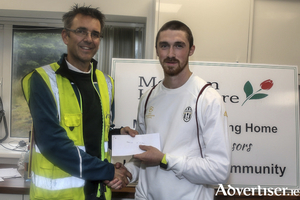 In perfect conditions for running on a testing course in Merlin Woods City Park, Craughwell's athletes took the top two places in the juvenile 2k race. 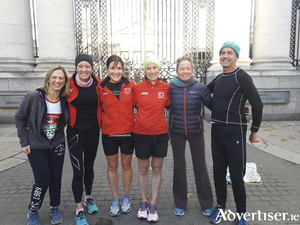 Galway City Harriers Naoise O Gibne and Niamh Hennell took the honours in the annual Run like the Wind 4k races on Saturday.